“Now, more than ever, the corporate strategy for large companies hinges on the people strategy.”. 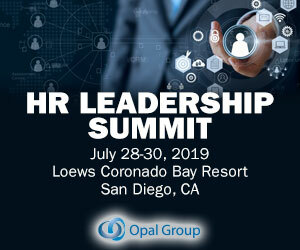 This was a key takeaway from a summit of HR leaders and Boston Consulting Group (BCG) experts, who met to discuss the future of HR and the trends shaping it. As you are probably aware from some of our other articles, we love to showcase lists of HR influencers for our readers to follow, such as our quarterly HR Gurus feature and 89+ HR Analytics Influencers post. This is largely because we believe it’s a great resource for business owners (and others working within the HR function) to gather ideas from the insights and articles they share, enabling followers to improve their own business practices. Traditionally, HR and finance departments have depended on bespoke internal software and solutions to optimise employee administration. Finance Director Europe speaks to Michael Custers at NGA HR about how the company plans to build a culture of more streamlined and efficient digital strategies to bring the two departments closer together. FDE: Do you feel that corporations are doing enough when it comes to embracing digital technology?